Affiliate links I am all about tinted moisturizers, especially in the summer when my makeup routine is more along the lines of subtle and natural. I want a little coverage but not a full face of makeup and that’s why I swap out my favorite full-coverage foundation with a more lightweight and SPF-boosted version. With summer in full swing, let’s talk about the best tinted moisturizers with SPF that combine lightweight coverage with hydrating skincare benefits AND sun protection to boot. 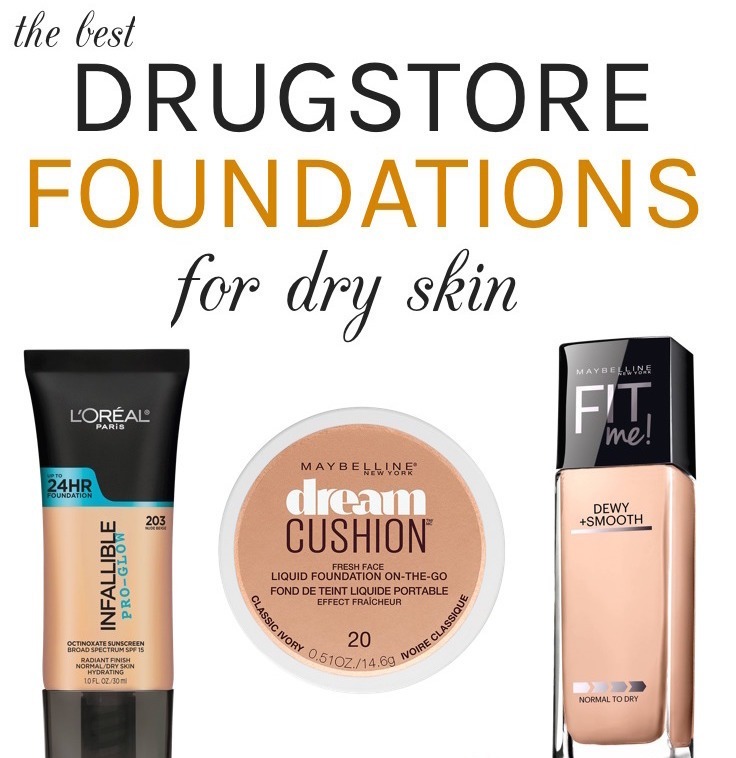 They are a great alternative to heavier foundations and keep your complexion pretty (and protected!) but still allow skin to breathe and won’t congest your pores. The best part is that none of these complexion perfectors will make a huge dent in your wallet…in fact all of these tried-and-tested favorites are under $35! From Tarte to Neutrogena, here are the best tinted moisturizers with SPF that are perfect to tie your ‘less is more’ look together…not only for summer but all year round! Infused with antioxidant vitamin E, shea extract and rice peptides, this lightweight tinted moisturizer provides natural looking coverage that smooths and evens skin tone beautifully while adding a fresh, healthy glow. Great for all skin types, the formula offers long-lasting moisture without a heavy or greasy feel. This oil-free tinted moisturizer with SPF protects and perfects skin with natural, sheer-to-light coverage that corrects uneven skin tone and redness. It really evens everything out and blurs the appearance of blemishes and dark spots for a your-skin-but-better look. The antioxidant-rich formula also provides daily UV defense with flashback-free, non-chemical sunscreen actives and essential hydration with a blend of sodium hyaluronate, vitamins A and E, plus fruit extracts. If summer is synonymous with shiny t-zones for your complexion, you’ll fall head over heels for this ultra-light tinted moisturizer that offers glides on effortlessly for brush-free, buildable coverage. It has a satin matte finish that lasts all day without creasing and won’t emphasize pores. Even better, the formula delivers a healthy dose of antioxidant-rich ingredients, including goji berry, astaxanthin and vitamin C plus SPF 30 (from pure mineral zinc oxide) to protect skin from sun and pollution. Being fragrance-free, it’s a great option even for sensitive skin types. When it comes to drugstore tinted moisturizers, this is one of the top-notch options that’s suitable for all skin types. Lightly hydrating with a smooth matte finish, its sheer neutral tint tones down redness while offering light coverage to even out your skin tone. Along with gentle 100% mineral SPF, it also contains soothing antioxidants that help boost sunscreen’s effectiveness! I also featured this sensitive-skin friendly option in my list of best drugstore moisturizers with SPF. The only downside is that the SPF is on the lower side, as compared to the standard SPF 30. Note: This product was previously called Cetaphil Redness Relieving Daily Facial Moisturizer SPF 20. If you are all about convenience with instant hydration and naturally radiant coverage plus reliable sun protection, this tinted moisturizer fits the bill perfectly! It has an elegant gel-cream texture that glides on like a dream and moisturizes while providing natural-looking light to medium coverage. Because of its slightly dewy finish, those with oily skin might need some powder for their shine-prone areas. But overall, it’s the perfect pick for a fresh-faced look! Not to mention, it comes in an impressive range of 16 shades for fair to medium-deep skin tones. Enriched with hyaluronic acid for a healthy dose of hydration, this oil-free tinted moisturizer offers buildable sheer to medium coverage that doesn’t fade throughout the day. It blends easily with fingers for a smooth and moisturized but not dewy finish, which makes it a great option for almost all skin types. It feels very comfortable on the skin and doesn’t settle into fine lines. The formula is also non-comedogenic (won’t clog pores) and comes in a good range of 10 shades to suit multiple skin tones. Aside from broad-spectrum UV protection, this silky-smooth tinted moisturizer hides imperfections and provides natural-looking light coverage with a satin finish that adds a touch of radiance. And it doesn’t disappear or go greasy as the day wears on! Even better, the lightweight formula is enriched with anti-aging retinol and a nice mix of antioxidants, so it makes your skin look better over time! Though this tinted moisturizer has SPF 20, be sure to layer on a stronger sunscreen underneath if you plan on being outside for more than a few minutes, as retinol can make you more sensitive to sun damage. Staying true to summer’s beauty mantra, this lightweight tinted moisturizer with SPF is the ultimate makeup multi-tasker! Perfect for lazy girls, busy moms or foundation haters, it blends like a breeze for natural coverage and packs a whole lot of skincare benefits including antioxidant Vitamins A, C, and E.
The formula provides just the right amount of hydration without suffocating pores or settling into lines and leaves skin with a healthy glow (not oily or shiny). The best part? It offers solid sun protection (broad-spectrum SPF 45) with a mineral-only formula of zinc oxide and titanium dioxide, making it perfect even for sensitive skin. Powerful sun protection with perks…yes please! Perfect for a fresh faced no-makeup look, this complexion-enhancing gel tint evens out skin tone while offering long-lasting yet lightweight hydration with moisturizing rose water. The cooling and refreshing formula melts right into skin and feels much lighter & breathable than a traditional foundation. More to love, it also contains antioxidant-rich green tea, soothing english chamomile and relaxing lavender. When you need a bit more coverage than an average tinted moisturizer, this vegan makeup/ skincare hybrid goes the distance without looking overly done. It feels great to wear, isn’t heavy at all, diminish imperfections and evens skin tone beautifully. The satin finish isn’t dewy or matte, but adds a subtle radiance so the formula is best suited for normal to dry/combination skin types. This multipurpose moisturizer also brightens and hydrates with organic coconut, pomegranate, aloe, ginseng, broccoli seed oil and a peptide complex. Plus, it provides broad-spectrum protection with 20% pure zinc oxide. This sweat-proof tinted moisturizer can last even through your toughest sweat session! It delivers heavy-duty performance without a heavy feel on your skin and stays put for well over 8 hours. The gym proof, water-resistant formula combines a blend of proteins and antioxidants vitamin A, C and E to boost hydration while also defending against sun damage with mineral sunscreen actives. It offers sheer to light coverage with a natural dewy finish that is best suited for normal to dry skin types. Those with oily skin can also make it work by pairing this with a powder on top for better longevity. What’s your current favorite tinted moisturizer? I would love to hear about your top picks in the comments below?